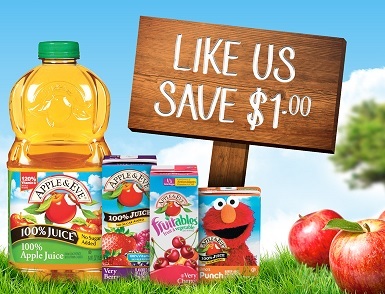 Save $1.00 on Apple & Eve Juice! Head over here to the Apple & Eve Facebook page for your $1.00-off coupon. You must “Like” their page to get the coupon. ← Meijer – *HOT* Possibly a FREE Jug (128 oz) of Lipton Green Tea!